Christmas is coming and it's the best time for giving and shopping too. 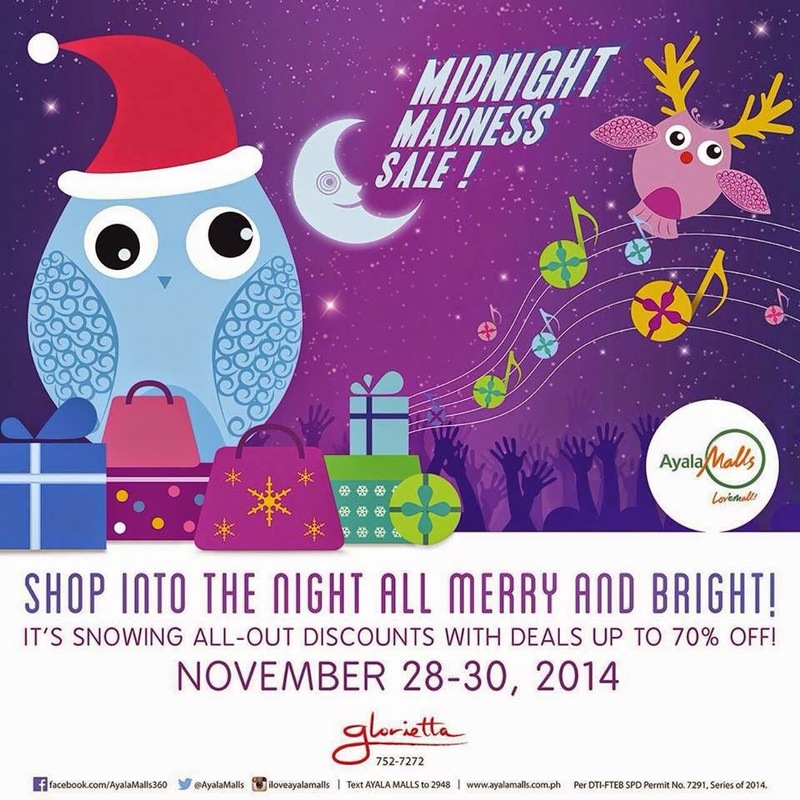 Good news to all shopaholic because Glorietta is now on MIDNIGHT SALE from November 28 up to November 30, 2014. 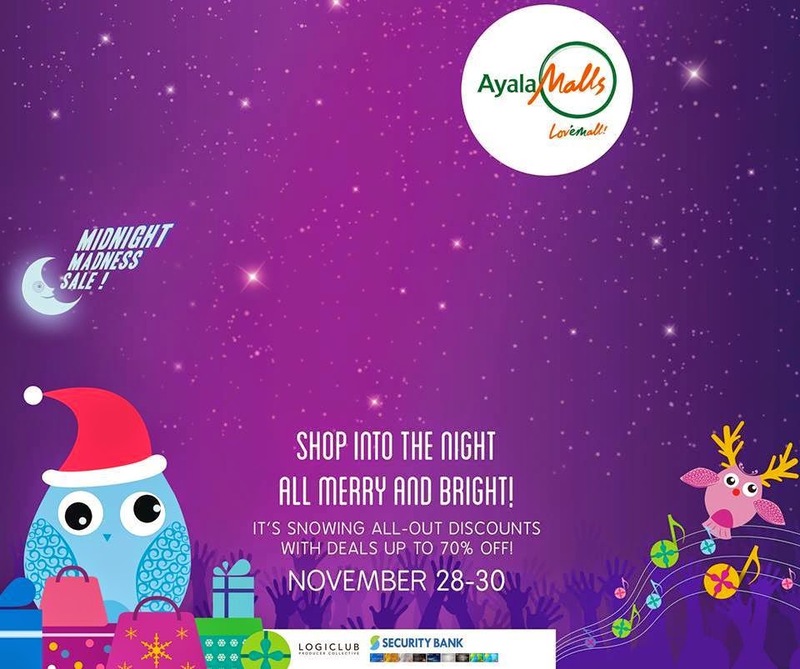 Aside from that, Glorietta will also be having a one-hour FLASH SALE to all shoppers plus additional 20% discount spree. You can also get a chance to win a Subaru Forester or PAL tickets for 2 when you shop at Glorietta. So what are you waiting for? 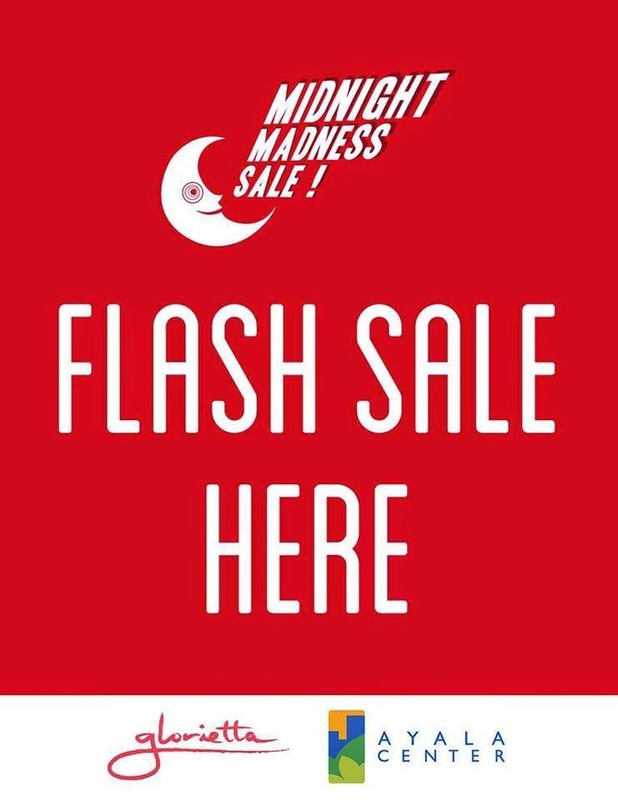 Shop at Glorietta Midnight Madness Sale. Participating stores will have posters of the FLASH SALE. 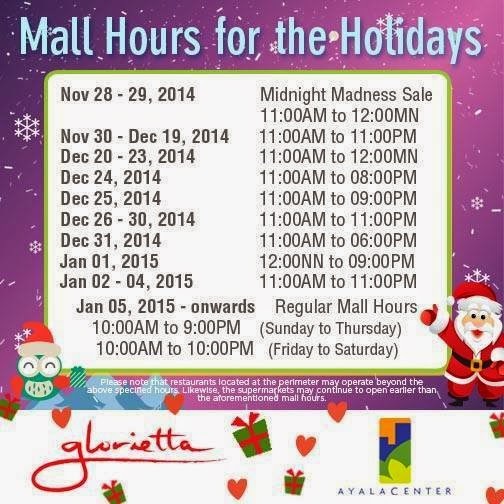 And for your Christmas shopping convenience, Glorietta release their mall hours for the holidays. Do your shopping in Glorietta now.